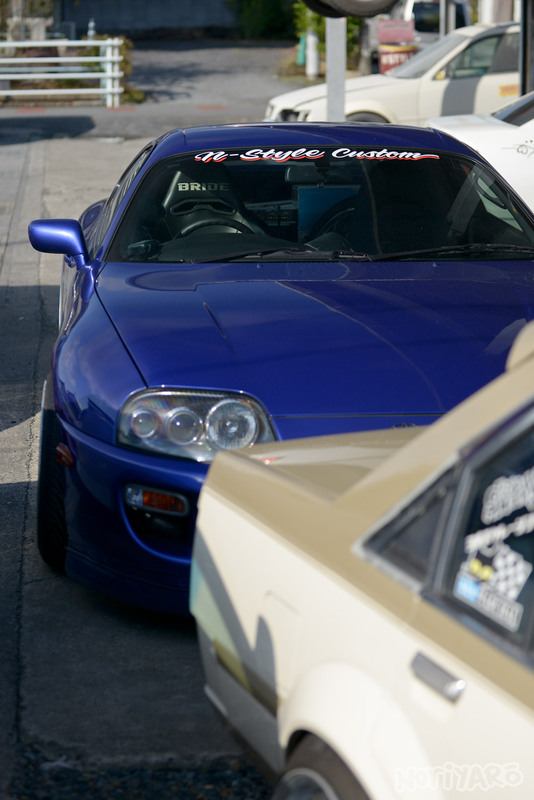 Here’s a neat numberplated Supra he bought a little while ago. Just like meat and potatoes and salt and pepper, a 2JZ with a T88-34D. Yep, I like this a lot. 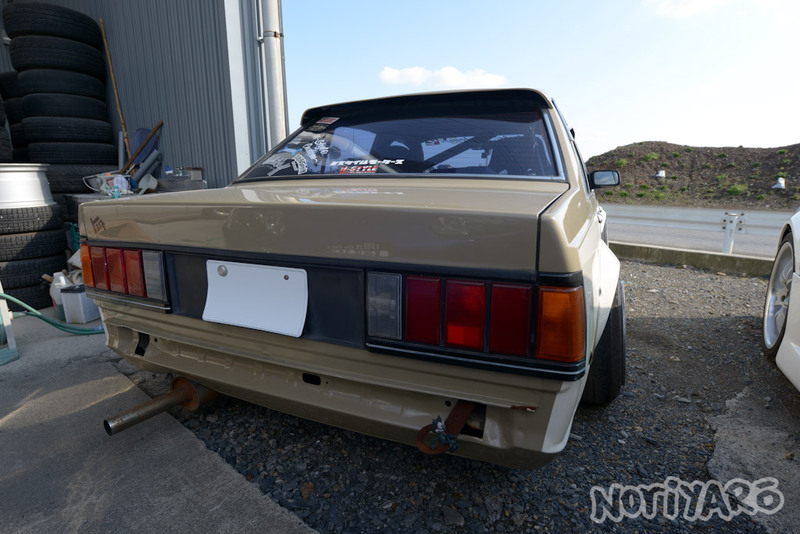 This is another 2JZ-powered car on Nagahama’s lot. 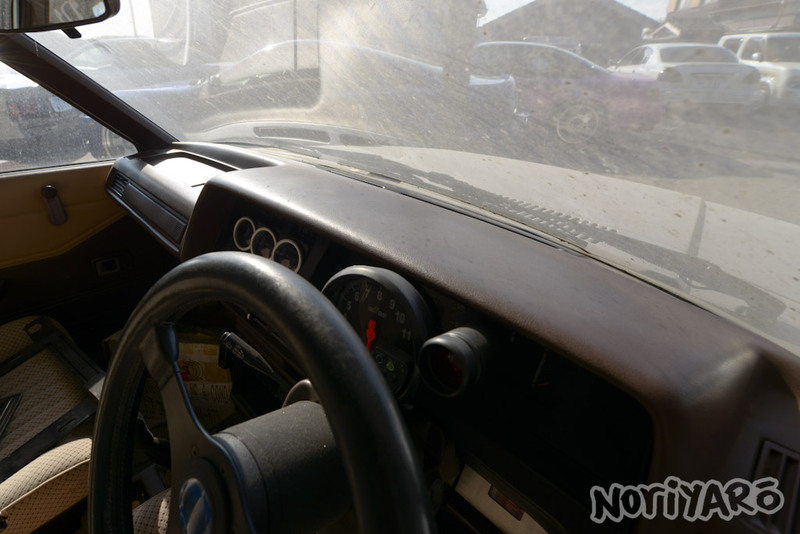 He used to own this Soarer, but recently bought it back from one of his customers. A lot of the N-Style cars are painted in tan, so that’s what his Carina drift-car wears. The styling points are kyusha all the way. People used to complain about cars in the 80s for looking too boxy, but I’d rather drive something like this than the “melting bar of soap” shape of a lot of modern cars. 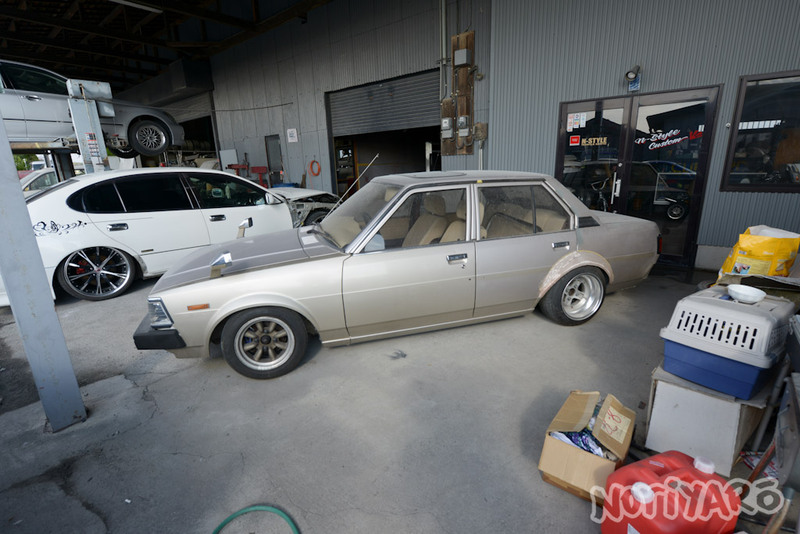 Here’s yet another car Nagahama has picked up recently, a Corolla. Work has already begun on the extremely important rear fender flares. 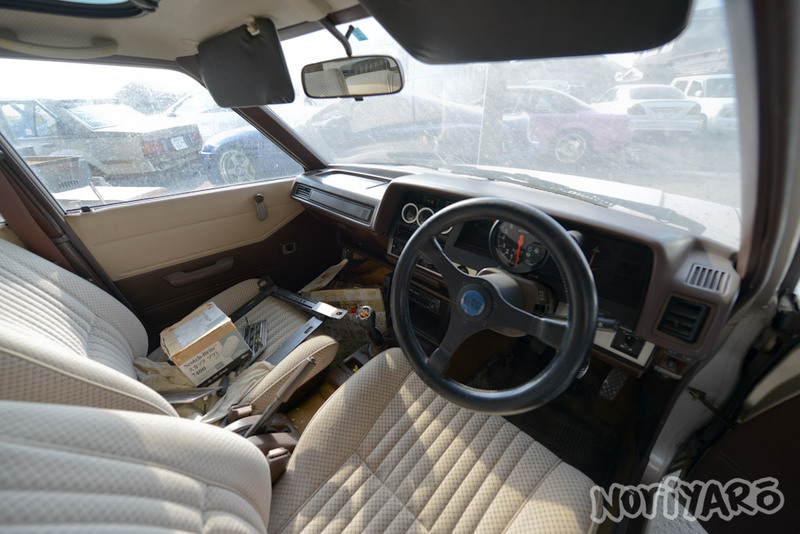 Look how clean the interior is! 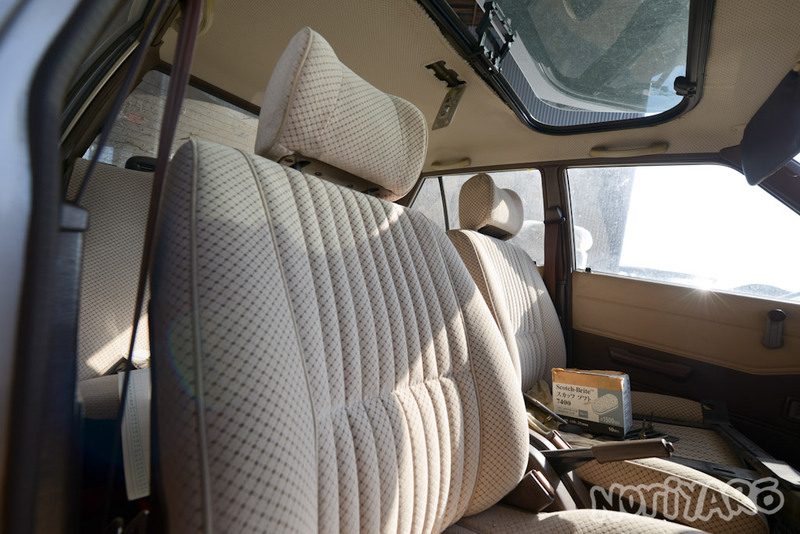 Twenty-year-old cream upholstery in Japan that looks this good? Pretty rare! It didn’t have a funny smell either. The dash was mint as well. The bodywork on the driver’s side fender is already finished. 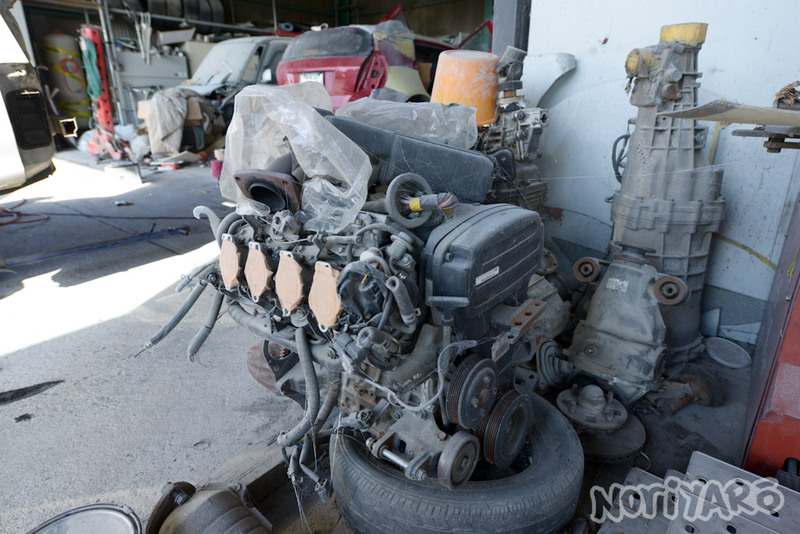 Here’s the engine that will end up going in that Corolla, an AE111 4AGE. A lot of the N-Style customers drive pretty awesome cars as well, so I’ll get some shots of them at the next N-Style event at Nikko Circuit. Thanks for sharing photos of your N-Style visit! I’ve been a fan of their Carina for a long time now and can’t agree more on your “melting bar of soap” remark! Damn i love that KE corolla, well, really all of those beauties. Great shots Alexi, keep up all the super nice drift coverage, I’m quite the avid viewer of your videos & site. Still wondering if he’s going to do any body work on the JZA80. I love their cream colored Z20 and Z30 Soarers, not pictured here. I think a tan and cream Supra would look pretty sweet. I used to visit this site regularly, but I have lost track of many things that have happened. Either way, I really enjoy the content, pictures and words you post. Please, keep updating Noriyaro forever. I keep up with the N-Style shop visits on Speedhunters. I really enjoy their work. Thanks for the shop visit. Next time, will you post more “shop” photos? Thanks!